As 2016 continues to tear through the senior celebrity biosphere like a Grim Reaper clutching a copy of Where The Stars Live in its withered, bony claw, networks are forced further and further afield to seek out still-extant aging actors to fill out the requisite grandparent roles in their upcoming shows. 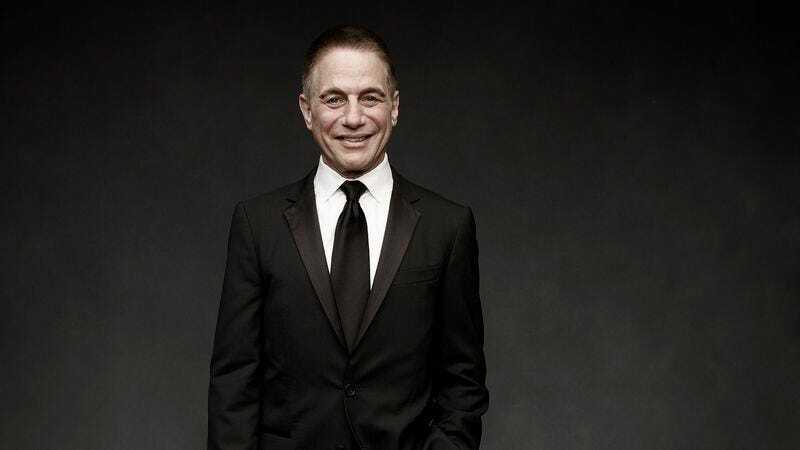 To that end, NBC has tapped former sitcom megastar and still-alive person Tony Danza—a man whose wide comedy repertoire includes both breathing and walking around—to co-star in a new show from My Name Is Earl and Raising Hope’s Greg Garcia. The project in question: Sebastian, an attempt to give Italian-American stand-up comic (and one-time survivor of Vince Vaughn’s Wild West Comedy Tour) Sebastian Maniscalco the standard sitcom treatment. Danza will play Maniscalco’s father, responsible for instilling his son with “old-school values” (shudder) that are out of step with the modern world. The new series represents Danza’s first starring sitcom role in nearly 20 years, breaking a streak that everyone involved—audiences, executives, Danza himself—seemed pretty comfortable keeping alive. But then, when you’re the last man over 60 in the entirety of Hollywood, sometimes you’ve just gotta step up, hit your mark, and say something vaguely sexist and dumb.